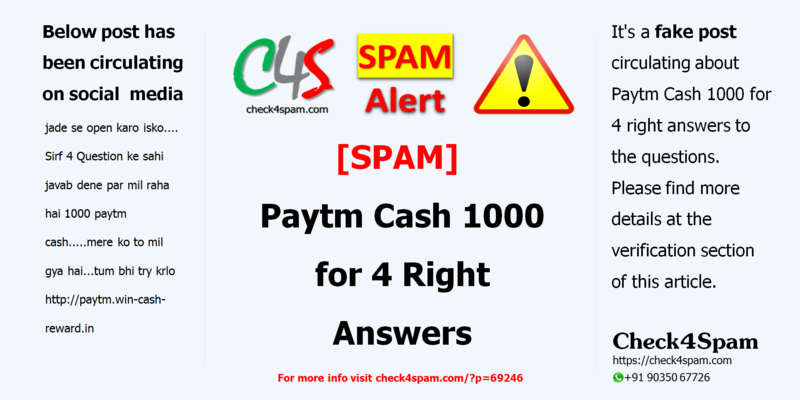 It’s a fake post circulating about Paytm Cash 1000 for 4 right answers to the questions. Please find more details at the verification section of this article. jaldi se open karo isko….